Remove the water pump pulley. Refer to Water Pump Pulley Replacement. Remove the 5 water pump bolts (2). Remove the water pump (1). Clean the 5 water pump threads. Insert a NEW water pump seal ring. Install the water pump (1). Install the water pump pulley. 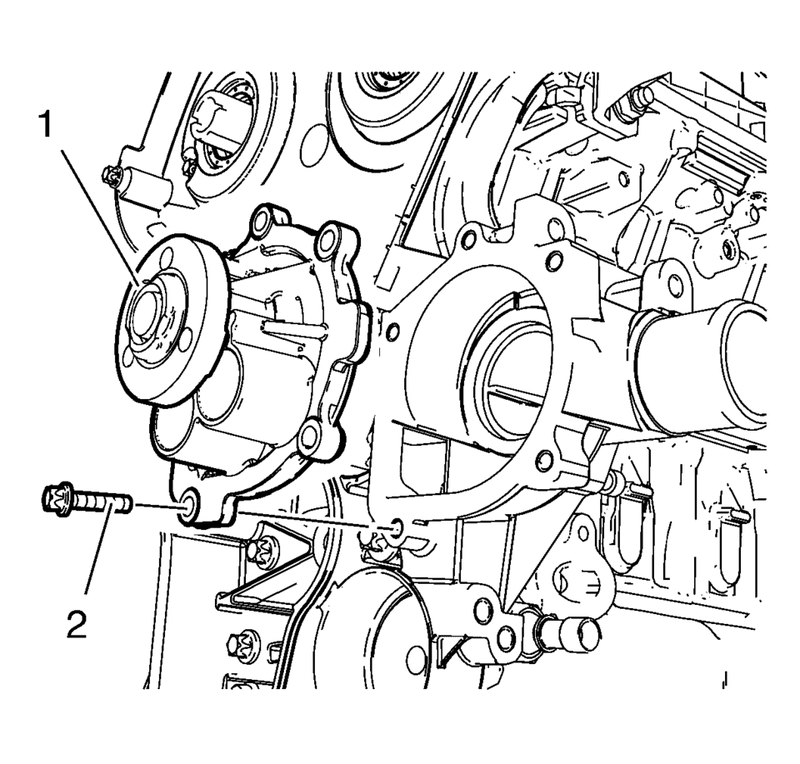 Refer to Water Pump Pulley Replacement. Refill the cooling system. Refer to Cooling System Draining and Filling.